Astrocytomas are tumors that arise from a type of glial (supporting) cell in the nervous system. Pilocytic astrocytomas are the most common benign brain tumors found in children. In children, this group of tumors includes most astrocytomas in the cerebellum, a region in the lower back portion of the brain that controls movement and balance; optic nerve gliomas, tumors that arise from the supporting cells in the optic nerve; and several other types of benign tumors. These tumors usually are cystic, meaning they are composed of a closed fluid or semi-solid filled sac, and they can arise almost anywhere in the brain. Because most pilocytic astrocytomas are slow-growing tumors that are not likely to spread to other parts of the body, the prognosis for children diagnosed with this type of tumor is excellent. Imaging studies are the key component in the diagnosis of pilocytic astrocytomas. 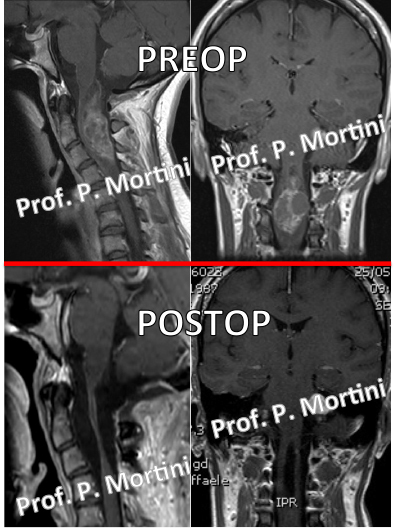 Magnetic resonance imaging (MRI) and computed tomography (CT) scans are used to provide images of the tumor and surrounding structures. 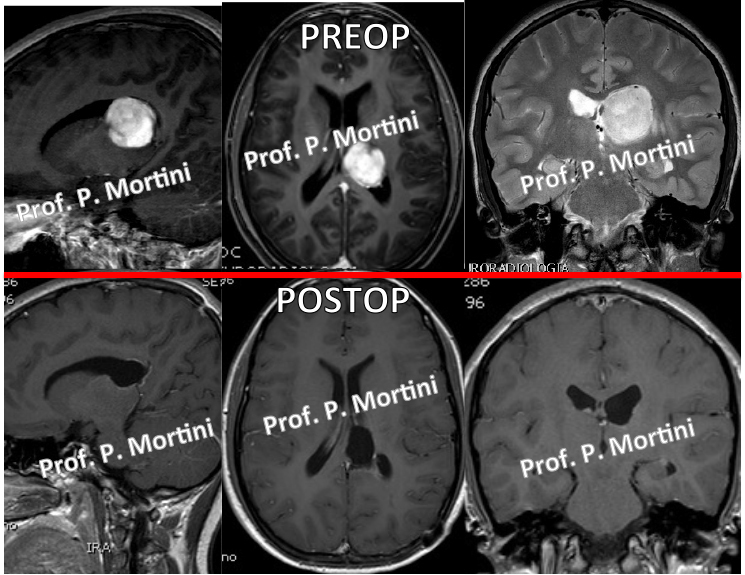 Depending on the location of the tumor, MRI may be used preferentially. For either study, an agent that provides contrast in the image is administered intravenously so neurological surgeons can visualize the tumor against the normal brain in the background. Because pilocytic astrocytomas are among the most benign brain tumors in children, some may be observed with MRI and not treated. If the tumor undergoes changes, treatment may become necessary. If treatment is deemed necessary, the tumor usually is removed surgically or, in cases of tumors that are difficult to reach, treated with radiation therapy. Surgical removal of a pilocytic astrocytoma almost always will provide a cure. Follow-up treatment with radiation therapy usually is used only in cases of incomplete tumor removal, but radiation therapy may have adverse effects on the development of young children. In addition, some smaller tumors that are difficult to reach surgically may be treated effectively with stereotactic radiosurgery, which involves the use of a highly focused beam of radiation to target the cancer cells specifically and leave the surrounding brain unaffected. Chemotherapy can also be effective in management of such regions.